Prism Computational Sciences, Inc. develops and applies innovative, user-friendly software tools for scientific research, education, and commercial applications. Our software is used to accurately and efficiently simulate the radiative, hydrodynamic, atomic, and spectroscopic properties of hot gases and plasmas. Prism software features sophisticated numerical models for performing cutting edge research, in combination with easy-to-use graphical interfaces and interactive visualization tools. These software tools are well-suited for state-of-the-art government and industrial laboratory research, as well as undergraduate and graduate student research and education projects. In addition to developing scientific software, our staff is involved in research projects with several U. S. national laboratories and universities. Prism was founded in 1998. 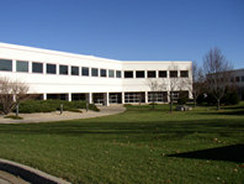 Its office is located in University Research Park in Madison, WI.